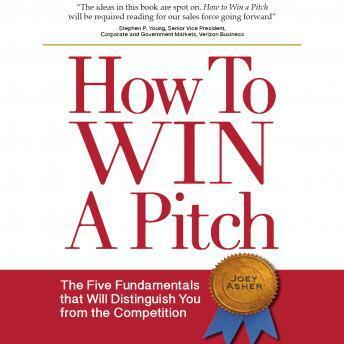 How to Win a Pitch will help you learn how to: Develop presentations that win contracts. Create connections to secure business relationships. Identify, discuss and fulfill client needs effectively. Veteran business coach Joey Asher has helped his clients win over five billion dollars in new business contracts. He uses his former experience as an attorney and journalist to help readers and clients rise above their competition. He has authored two previous books, Selling & Communication Skills for Lawyers and Even a Geek Can Speak: Low-Tech Presentation Skills For High-Tech People.